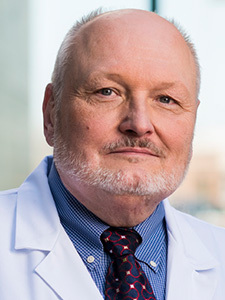 Dr. Edward Yob received his medical degree from the Philadelphia College of Osteopathic Medicine and completed his residencies at the United States Air Force Regional Hospital and Boston University/New England Medical Center. Dr. Yob is board certified by the American Osteopathic Board of Dermatology in dermatology with a certificate of added qualification in Mohs micrographic surgery. His practice is limited to the diagnosis and treatment of skin cancers. He is a clinical associate professor at the University of Oklahoma Health Sciences Center, Department of Dermatology. Dr. Yob is certified by MD Anderson Cancer Network®, a program of MD Anderson Cancer Center. Philadelphia College of Osteopathic Medicine, D.O.